Alongside Aries you have to face practical and concrete issues. He is a very good partner when it comes to property and material life. Aries will influence that part of the solar horoscope that is related to your home projects that affect safety in the future. 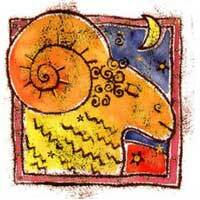 Aries talks and opens up to you but you can count on him more in the future than at the present time. If you are looking for long-term results, Aries is the perfect partner but not if you want immediate results, or want just to have fun. Aries signifies future and for you the relationship is serious. 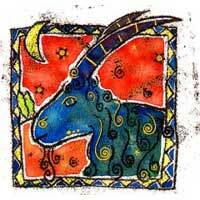 Pay attention Capricorn: do not try to experience with Aries. The relationship is fit for long-term, responsible and not at all superficial. You can make money with Aries and you invest well. You could be married to an Aries as he awakens a desire for home, family, property, something that will last. It is an interesting combination: Saturn opposite Mars, means higher expectations. You inspire his ambitions while Aries is an anchor for your future because you are no longer terrified, but optimistic. There is attraction, however, problems arise. Both have a lot to learn from this relationship. The two signs do not seem to get along very well, but you will reinforce each other's characters. You can expect discipline and responsibility, but the mutual attraction between you might materialize on the finances point of view and it will help solve some problems.